I think this is a .675. Anybody know for sure? I think it's a .665 for the super full. 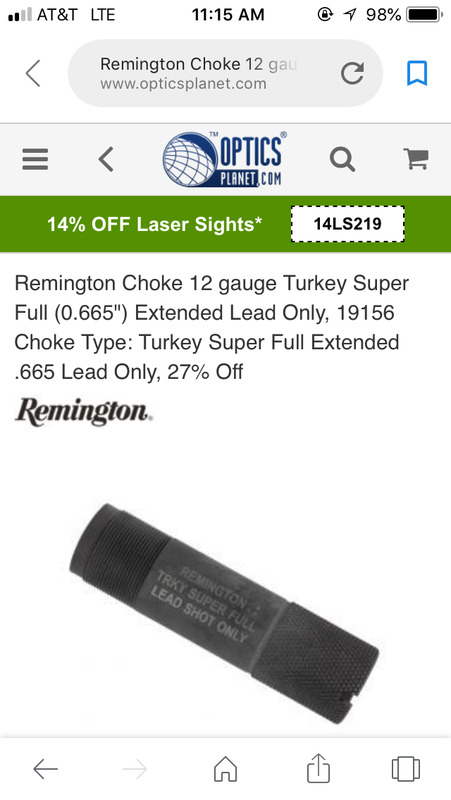 The “Turkey Super Full” is .665, but I think the “Super Full Hevi Shot” is .675. But not positive. Mine just says Supper Full. 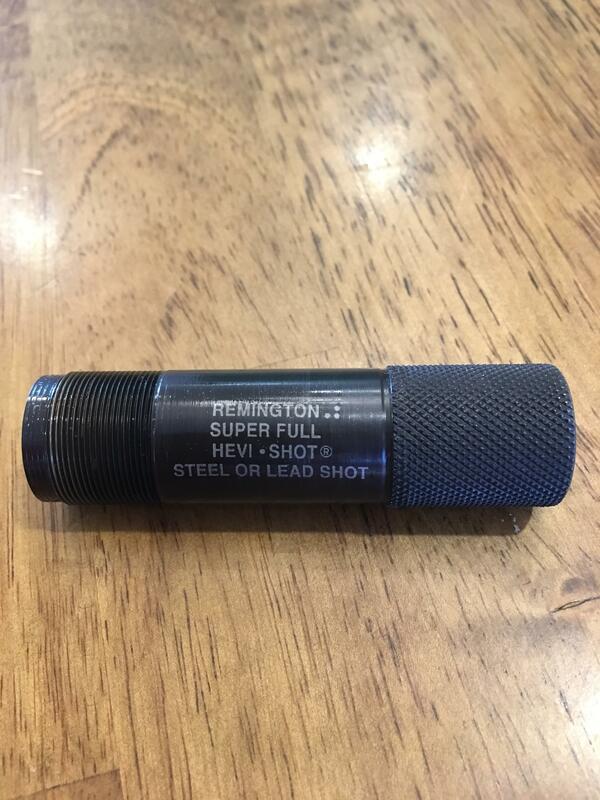 Does not have the hevishot on it. I believe they are .672. Mine, which looks exactly like the OP's photo, is .675. .675 unless they changed it over the years. They offered that choke, if my memory is correct, the second year they loaded hevi-shot. I have one in an 870 as a back up gun. It shoots 2 oz of tss very nicely.